We are making a move to more environmentally friendly shopping by using recycled paper bags for our counter sales (where possible) to cut down on plastic. 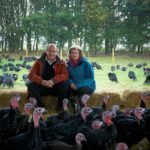 We were one of the first businesses in Grayshott to give our customers re-usable shopping bags, which we have been doing for 10 years this year. We are open every day up to 4pm on Christmas Eve – there is still plenty of time to call and see us to pick up your Christmas supplies. It is definitely barbeque weather! How about butterflied leg of lamb dusted in rosemary and garlic, served with a delicious roasted vegetable and couscous salad. Mmm very tasty! We can offer you lots of ideas – kebabs, lamb chops, prawns maybe? 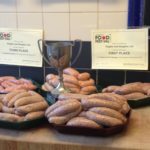 Not to mention our classic beef burgers and award winning sausages. Call in to see us and be inspired! 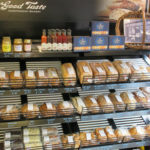 You can pick up everything you need for a sizzling BBQ in Grayshott local shops. Easter Sunday is early this year, on April 1st. 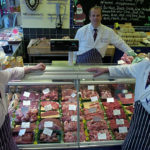 As always, we are stocking locally reared cuts of lamb. To be sure of getting exactly what you want, place your order with us in advance. 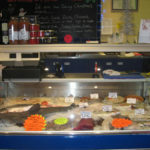 If you would like your meat to be off the bone, rolled and stuffed, then let us know your requirements when you order. If you’re roasting a leg, save yourself some time and ask us to stud it with rosemary and garlic and you can collect it from us ready for you to pop in the oven. 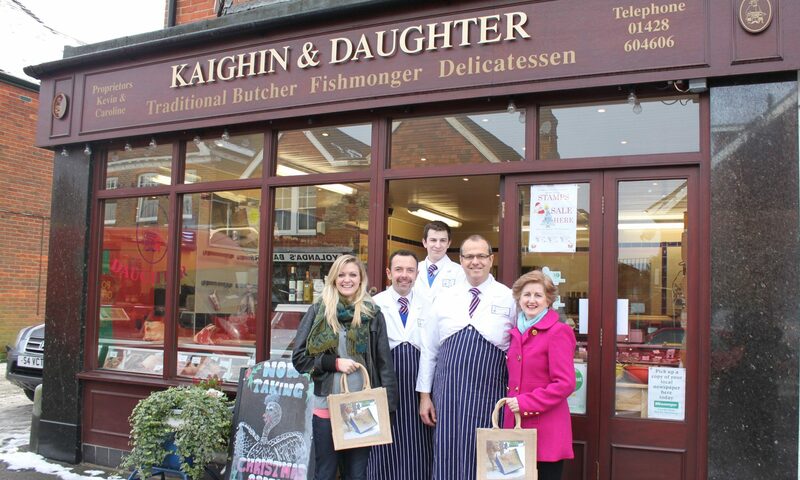 Place an order by phone (01428 604606) email ( info@kaighinanddaughter.co.uk ) or call in at the shop. We are open from 8am to 1pm on Good Friday, closed on Easter Sunday and Easter Monday. Valentines Day is nearly here… Have you planned a romantic dinner at home? How about Beef Wellington or Salmon en Croute? Call in and let us know if you would like to order something special.